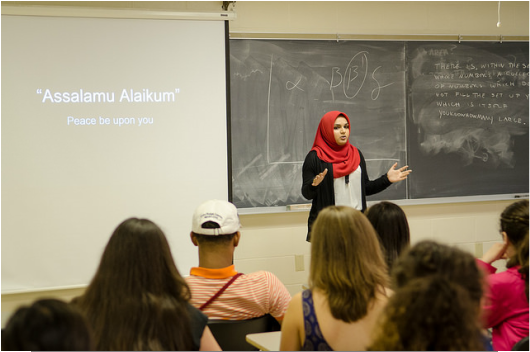 The Muslim Speakers Bureau of Columbia is dedicated to enhance the diversity and establish a more culturally competent Central Missouri. MSBC's speakers are trained to offer presentations that assist host institutions in enhancing members' understanding of Islam and Muslims. We tailor our presentations according to your need and our speakers aim at helping your audience arrive at their educational objective. Established in May 2006, MSBC is an educational resource in Central Missouri that offers professional presentations about Islam and Muslims. MSBC is an independent bureau that works within the context of diversity training, social sciences, and world religions.